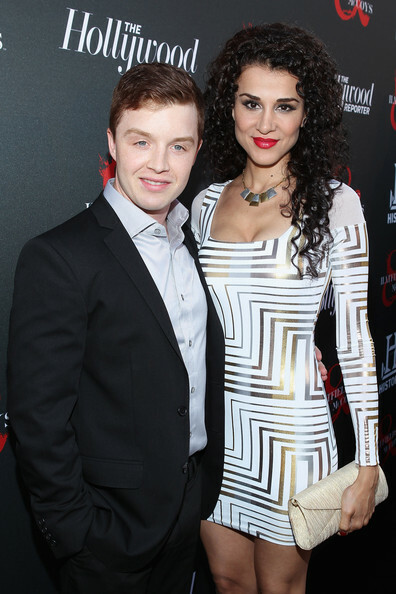 The Hatfields & McCoys red carpet premiere was Monday evening and I was lucky enough to help Layla Alizada and Noel Fisher get ready for it! In case you haven't seen all of the advertising The History Channel has done, the Hatfields & McCoys is a new miniseries that will be premiering on May 28 about two infamous southern feuding families. 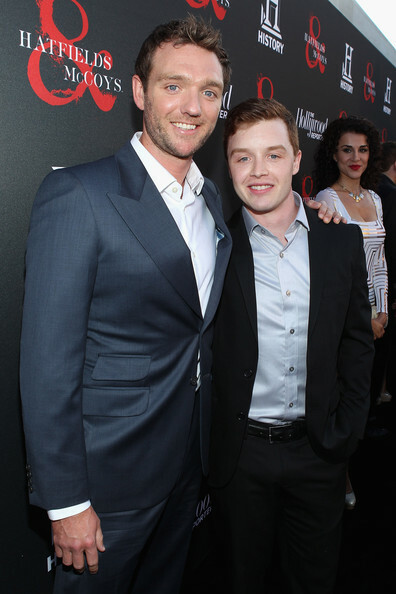 I actually groomed Noel for the season premiere of Shameless while he was working on this and it was quite interesting to hear the story of the families and the time he spent in Romania filming. For Layla, we wanted to play off the colors on her amazing Bebe dress. I finally caved and bought the somewhat new Naked2 palette by Urban Decay the other day and the variety of earthy and metallic shades were a great match and complemented her outfit well. Adding a beautiful shade of red on the lips and her look was complete. You can check out some pictures from the red carpet and party below!